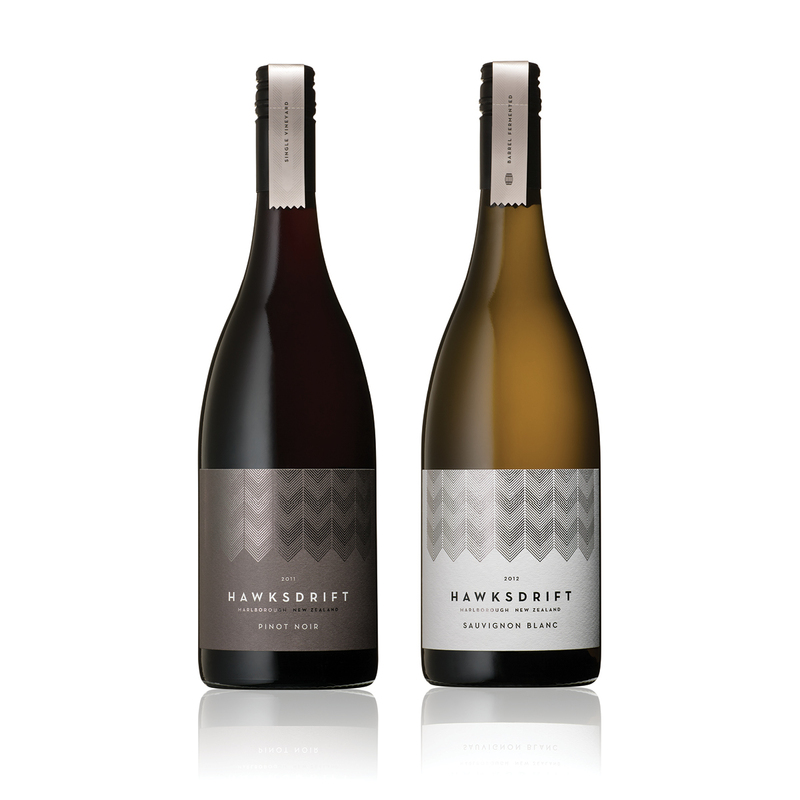 Hawksdrift are boutique producers of premium, hand crafted wines from Marlborough, New Zealand. 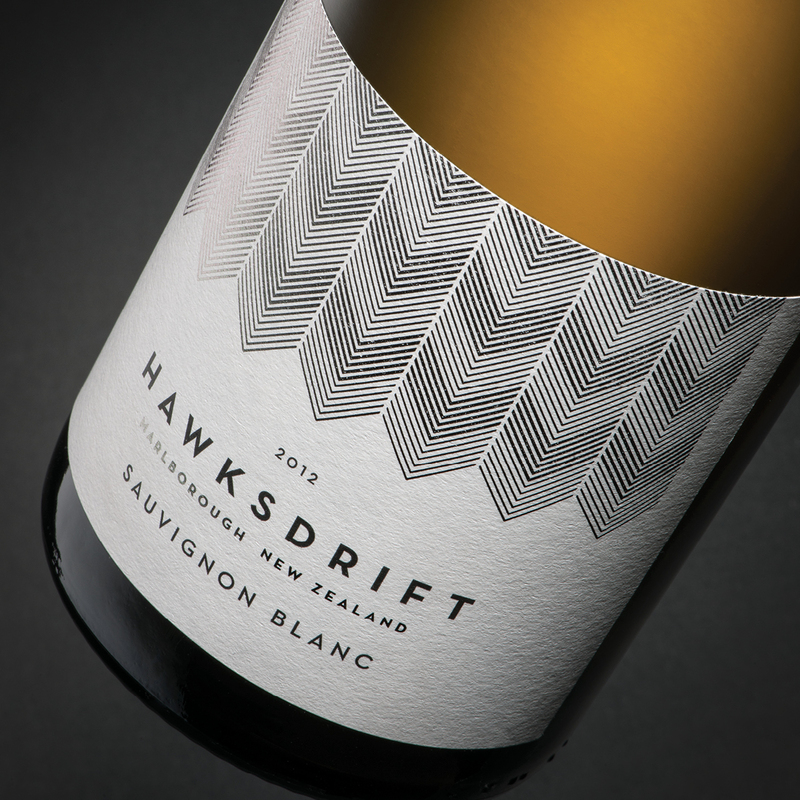 The hawk effortlessly glides above Hawksdrift’s vineyards and inspires the grape grower as he tends to the vines in solitude. Whilst briefing us, David Tyney, Winemaker, identified that their wines were being praised by distributors, but they were reluctant to stock them because their original packaging was ineffective. Our goal was to add value by repositioning the brand; to appeal to a sophisticated, young professional consumer, increase distribution and sell at A$36.99 rrp. After carrying out research, we discovered that there are many ‘hawk’ and ‘eagle’ brands and labels in NZ, Australia and other parts of the globe. 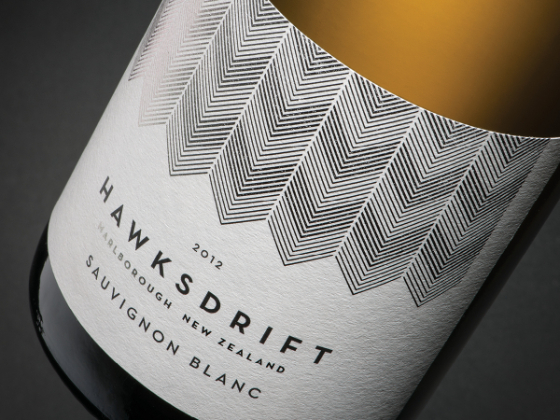 To tell Hawksdrift’s unique story and stand out from the crowd, we developed a contemporary solution inspired by the hawks unique characteristic; its striped markings and feathers. The parallel pattern also subtly references rows of vines from a bird’s-eye view. This pattern is finished in a Gun Metal foil on uncoated, textured label paper. Cigar bands printed in a metallic ink and finished with a tinted spot gloss varnish add to the premium statement. This attention to detail not only reflects the quality of the wine, but is a testament to the grape growers/winemakers craft.